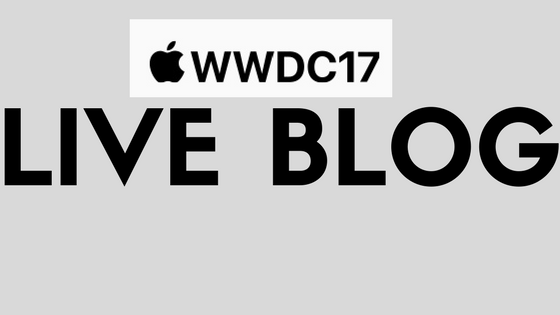 Home Live Blogs Live Blog: What to expect from WWDC17? Live Blog: What to expect from WWDC17? Apple’s Annual Developer Conference aka WWDC is scheduled for June 5- June 9 where new Software and Hardware announcements are made by Apple. Today is Day1 of the event. The keynote will go live at 10:30 PM(IST) and it can be viewed live from this link. If you aren’t able to view the live stream, not to worry. We will be bringing live updates on our blog. Apple will announce some interesting things that have been going behind the scenes for a year. New ‘Files’ App. This is nothing but a File Manager and it has already gone live on the App Store before the KeyNote. Refresh to Mac Pro and MacBooks. This has been long overdue but might be unlikely. On the other hand, rumors suggest Apple might actually surprise us with new Hardware too. Other strong rumours suggest Siri-powered Speaker. This will be Apple’s answer to Google Home. Update to tvOS and WatchOS. We will be bringing live updates on our blog. Stay tuned and follow TechUNeed for more updates.